Wednesday, November 13, 1912: Nothing of any account seems to be happening around here, so I can’t write much. 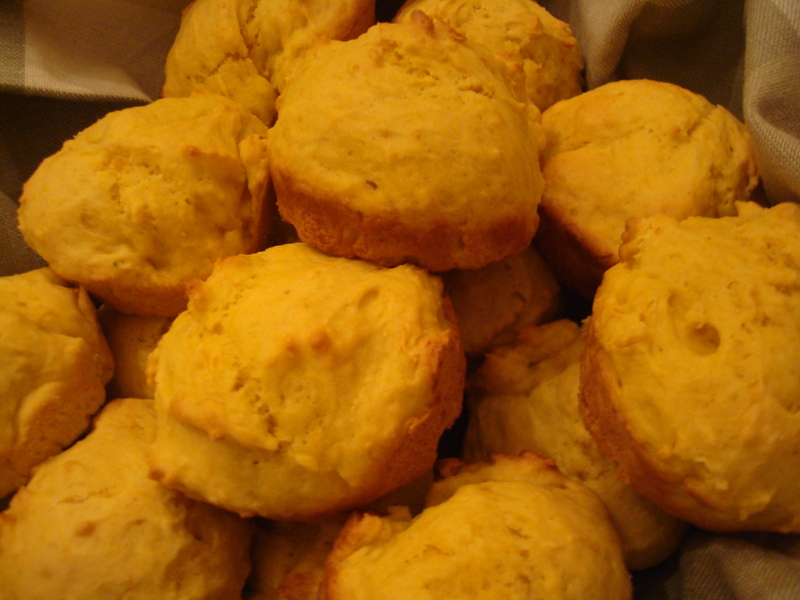 Here are the squash muffins I made. Another slow day for Grandma—the total opposite from my life. I’m bustling around getting ready for Thanksgiving—cleaning the house and planning the menu for the big day. I recently flipped through the November, 1912 issue of Ladies Home Journal looking for recipes that might be good this Thanksgiving. Here’s a keeper I found for Squash Muffins. I tested them yesterday—and plan to make them again for Thanksgiving. They’re delicious served warm with butter—and have a lovely, delicate taste. However, they are less sweet and heavier than many modern muffins, so I had to set aside my preconceived notions and just enjoy their old-fashioned goodness. 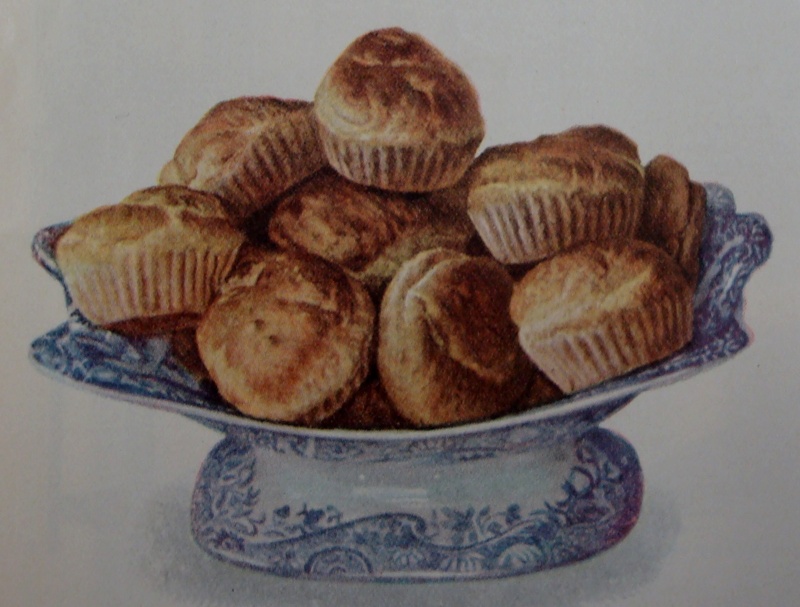 And, here is the picture of Squash Muffins in the November, 1912 issue of Ladies Home Journal. Here’s the recipe—slightly adapted for modern stoves and ingredients. Preheat oven to 400 degrees. Put two-thirds of a cupful of cooked squash into a bowl, then add a quarter of a cupful of sugar, two well-beaten eggs, two cupfuls of flour, half a teaspoonful of salt, three teaspoonfuls of baking powder and three tablespoonsfuls of melted butter. Mix well and bake in well-greased muffin pans for approximately twenty minutes. If these muffins are intended for a luncheon or a tea, a quarter of a teaspoonful of powdered ginger may be added. I added ginger—even though we ate the muffins at dinner. I used hubbard squash, but butternut or other winter squash (or canned/frozen squash) would also work. I peeled and cubed about 1 1/2 cups of squash and boiled in water in a pan on the stove for about 15 minutes. I then drained the squash, mashed and measured out two-thirds of a cup to use in the recipe. Posted on November 13, 2012 January 8, 2016 by SherylPosted in Food, recipesTagged bread, muffins, squash. This is fascinating. Not only the recipe.. 🙂 Also the concept. A hundred year old diary. Republished by her grand daughter exactly 100 years later… Wow. Thanks for the nice note. I have lots of fun posting the diary entries and writing comments, and it’s always wonderful to hear when others enjoy it. They sound good. I’ve got two little pumpkins I’m going to cook. I think that I’ll make some pumpkins from it. That should work. Yes, either pumpkin or squash should work. I use the two interchangeably. This is a busy time of year–and it’s bound to get even busier for the next month or so. I can’t wait to read her journal entries on how they prepared for the holidays, I will have to look back at last years.